2. Review current resources. Review the available resources available to caregivers within your agency. Do you have a credible Comprehensive Stress Manage­ment Program that addresses acute, trau­matic and chronic stress? Is there a peer support group or chaplaincy program avail­able for caregivers? On a more formal basis, are there written protocols regarding use of Critical Incident Stress Debriefing and Employee Assistance Programs? Does your insurance program or collective bargain­ing agreement provide reimbursement for outside stress-related counseling and other mental wellness needs? 3. Increase broad awareness. Your actions as a leader can enhance aware­ness throughout the organization. Until recently, the machismo and hero culture of EMS did not tolerate open discussion of caregiver suicide, and leaders didn’t want to address it. The manner used by leaders to discuss and describe this crisis can encour­age individuals to seek support. To put a sharper point on it, EMS leaders need to reg­ularly insert positive language about mental wellness into caregiver briefings, written communications and continuing education sessions. Agency-provided education on stress prevention and management should be required. By doing so, we make it easier for caregivers to step out of the shadows and request help. 4. Train middle managers and supervisors. It’s not enough to increase your own knowledge and organizational awareness. Leaders must ensure that supervisory personnel receive specific training and can take action when immediate interven­tions are appropriate. Key elements of supervisory training might include topics such as: How to spot increas­ingly isolating behaviors and other risk factors among caregivers; how to listen for overwhelming non-work issues that are spill­ing into the workplace; spotting early signs of verbal or physical abuse of patients or other caregivers; and how to make appropri­ate referrals to the agency’s resource net­work to support mental wellness. 5. Ramp up intermediate strategies. These may include regularly reviewing critical incident stress management, Employee Assistance and other pro­grams to identify gaps. 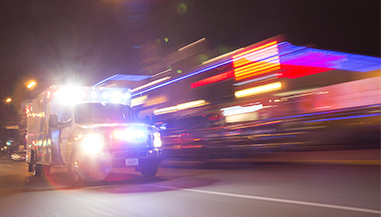 Evaluate how local EMT and paramedic programs address stress, suicide and preven­tion. Additional dialogue is also needed about how agencies can implement better pre-employment candidate screening. It’s well known that some individuals are more susceptible to the stress associated with emergency ser­vices than others. 6. Develop longer-term strategies. Long term strategies include ensuring that mental wellness programs become an accepted part of the very fabric of our profession. To make that happen requires the allocation of adequate funds to ensure the availability of sup­port when caregivers require it. A paradigm shift is required for our profession to become proactive by developing both comprehensive pre­vention programs and better systemic support for this unrecognized care­giver crisis. EMS administrators must be ready to lead and maintain those efforts. To that end, a special session on EMS Suicide and Mental Wellness is being added to this year’s Pinnacle EMS Leadership Forum, August 3-7 at Ame­lia Island, Florida. For more information, visit www.pinnacle-ems.com.